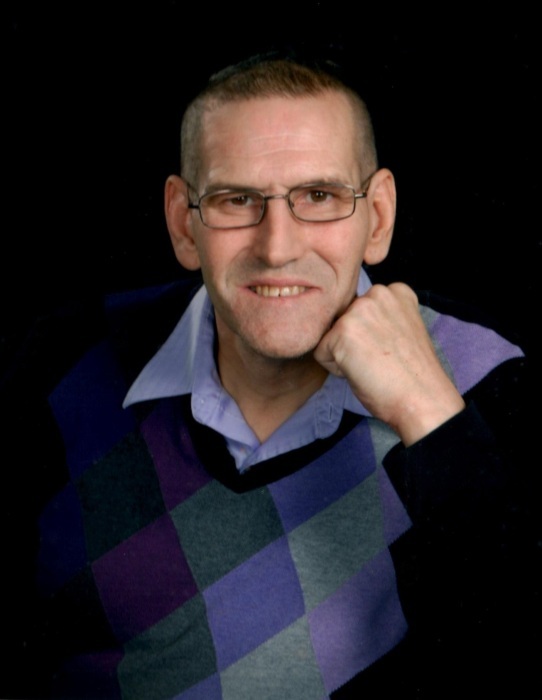 Steven D. Ledford, 58, a resident of Oswego, passed away unexpectedly on November 30, 2018 at the Oswego Hospital. Born in Fitchburg, Massachusetts, he was a son of Fritz Ledford and the late Florence (Bowdoin) Ledford. He was one of the first to receive his high school diploma through the External Diploma program of the Oswego High School and received his Bachelors's degree in History from SUNY Oswego. He used to do vinyl repair and leather refinishing on used cars. Steven was a history buff who loved animals and enjoyed spending time with his dogs. Surviving besides his father are his wife of 36 years, the former Valerie Bundy, three daughters, JoNeil (Pascal Deschamps) of Quebec, Jennifer (Jamie) Pittsley of Oswego, Shae (Tyson) Roggie of Lowville, a son, Brian (Tara) Palmer of Texas, three brothers, Marcus Ledford, David Ledford, Gerald Ledford, a sister, Sharon Arsenault, five grandchildren who lovingly referred to him as Poppi, Olivia, Zacchaeus, Hannah, Carson and Ethan, as well as several nieces and nephews. The family will receive friends on Thursday from 5:00-7:00 at the Dowdle Funeral Home with a memorial service to follow. In lieu of flowers, contributions may be made to Paws Across Oswego County (pawsacrossoswegocounty.com/donate).